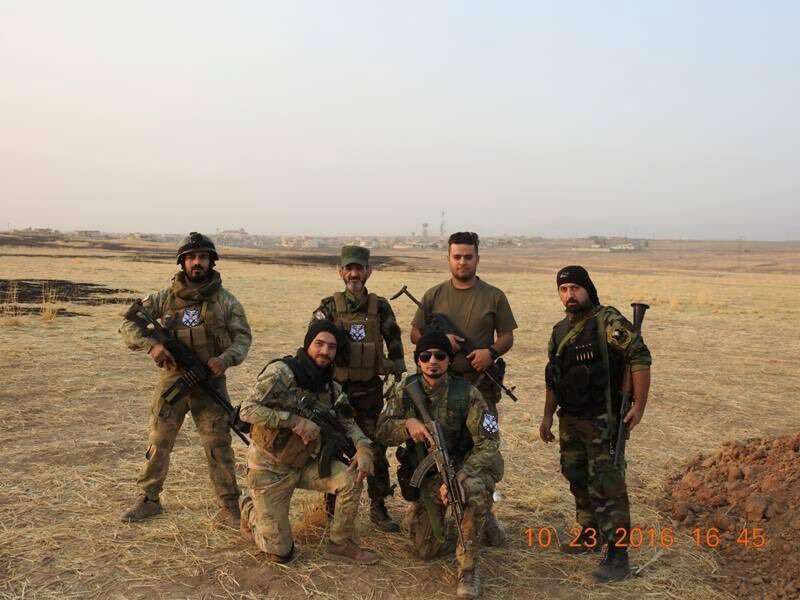 A source in the anti-terror apparatus, Sunday, that the special forces arrived on the outskirts of Alqosjat first northern province of Mosul areas. The source, who spoke on condition of anonymity, said that “this region is the first areas of the revival of the city of Mosul to the north.” It ended 29/34 R.
With the fight for Mosul entering its second week, the Obama administration is under pressure to declare victory over the Islamic State, a win the White House says would validate the president’s strategy of waging proxy wars against the terrorist group in Iraq and Syria days before Americans head to the polls. A quick victory by US-backed Iraqi and Kurdish forces also would reinforce Iraqi Prime Minister Haider al-Abadi’s tenuous hold on power in Baghdad, where he faces an increasingly frustrated Sunni bloc in parliament and Shiite factions allied with former Prime Minister Nouri al-Maliki looking to undermine the regime. But wresting total control of Iraq’s second-largest city from the Islamic State – also known as ISIS, ISIL and Daesh – likely will take months. Iraqi forces face heavy fighting by a tenacious enemy as they close in on Mosul. Obama administration officials may well declare victory in Mosul once pockets of Islamic State resistance are cleared out, but the challenge will be defining a win and making sure it sticks, said Thomas Donnelly, a resident national security fellow at the conservative American Enterprise Institute in Washington . “For the Obama administration, there is an incentive to say, ‘Yes, our strategy of subsidizing Iraqi proxies and of leading from behind and helping the Iraqi government rebuild its military forces to defeat ISIS has been a success,'” Mr. Donnelly said. A source in the central bank said yesterday that the recent lifting of the price of the Iraqi dinar against the US dollar to coincide with the victories of our security forces and is moving towards liberalization City Almousel.oukal source in a press statement singled out by all the news that the central bank decided to raise the value of the Iraqi dinar against the US dollar by financial mechanisms fall in its policies for indicating that these mechanisms are subject to the principle of supply and demand in the domestic market. The source , who preferred not to be named , said the Iraqi dinar will see over the next few days , a significant rise in price against the US dollar. Earlier this week, our combined efforts over the past two years culminated in the initiation of operations to liberate the great city of Mosul. 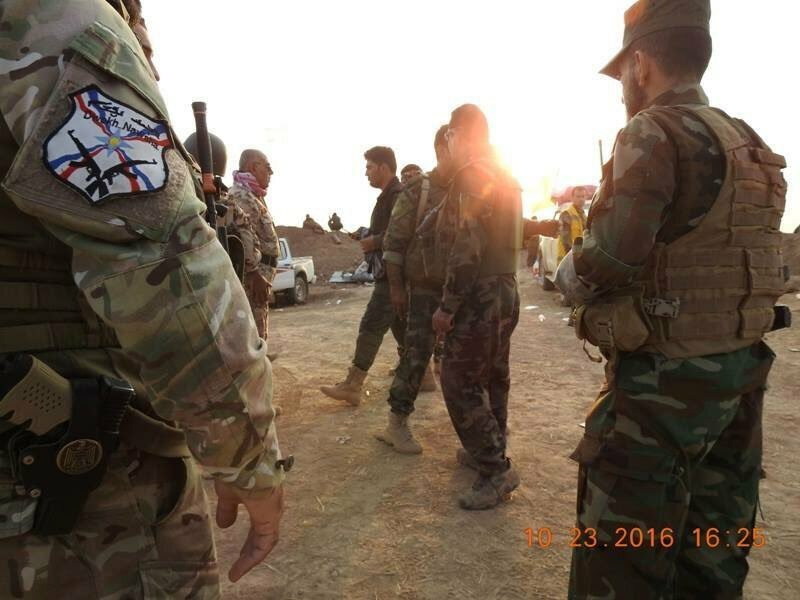 This military operation includes tens of thousands of Iraqi, Kurdish Peshmerga, local police, and local Ninewa volunteer forces. 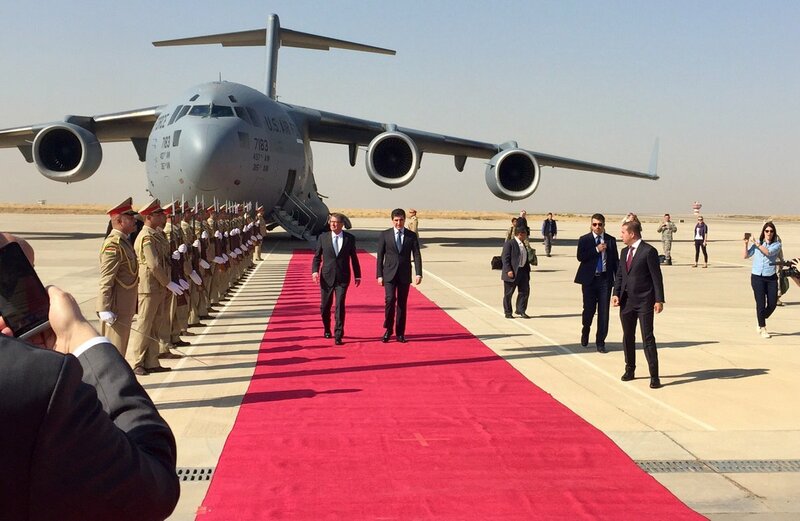 All of these forces are now operating under one common plan, agreed to by Prime Minister Abadi and President of the Iraqi Kurdistan Region, Masoud Barzani. Our coalition has trained many of these units, and we will be providing advisory, air, and intelligence support throughout the operation. I am in writing now from Erbil, in the Iraqi Kurdistan Region, before traveling to Baghdad. Morale and confidence here is high, even as everyone involved recognizes that this will be a difficult endeavor, and that the operation may take months to complete. Mosul is where Da’esh’s leader, Abu Bakr al-Baghdadi, declared his so-called “caliphate” and sought to attract thousands to his barbaric cause. Mosul will now be the place where that “caliphate” begins its demise. We should expect Da’esh to hold out with suicide bombers, snipers, and car bombs until the very end. It is our mission to ensure they cannot succeed, and that those terrorists who choose to fight in Mosul will die there. What happens after the battle will be even more important. This summer, our coalition generated more than $2.3 billion to support humanitarian assistance and stabilization initiatives for liberated areas, with an immediate focus on caring for the displaced, and then setting conditions for their return. As our military operations progress, especially after Mosul is liberated, we hope the coalition’s generosity in these efforts will continue. As a coalition, thanks to leadership from UNDP, Germany, and UAE, we have pioneered a “stabilization” formula, whereby resources are targeted to the local level, incorporate local knowledge, ‎and focus on returning life to local communities. These stabilization initiatives work in tandem with our police training program, led by Italy, and our explosive ordnance removal programs, which help Iraqis restore local control to their streets and enable stabilization activities to begin. The results are now demonstrable. ‎In Tikrit, a city that was nearly depopulated by Da’esh, 95 percent of residents are back in their homes. In Ramadi, over 180,000 have returned to their homes, and in Fallujah, only months after the battle, over 30,000 civilians have returned. Throughout Iraq, more than 1 million have returned to their homes since Iraqi forces began reclaiming territory from Da’esh, with 90,000-100,000 in the last month alone. 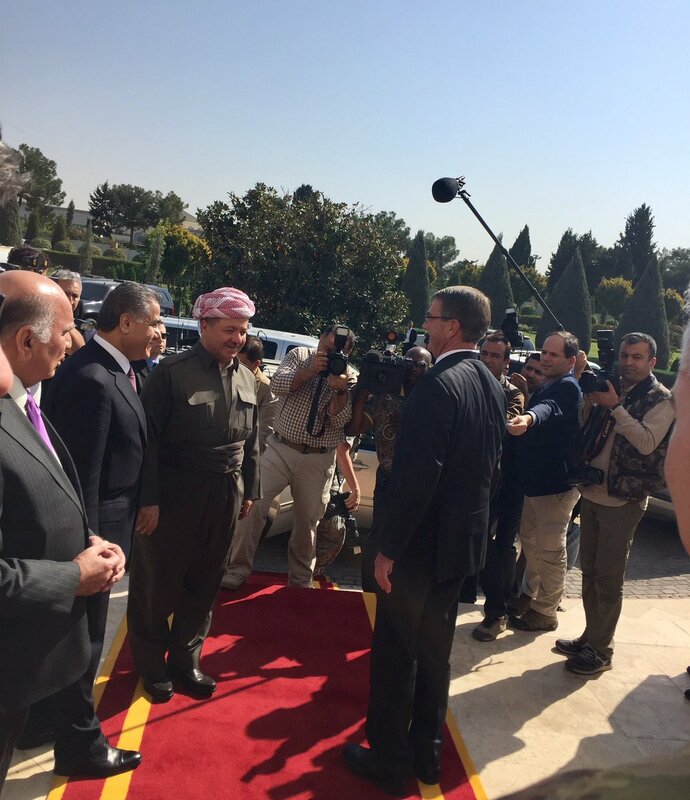 For this trend to continue, Iraq will need ongoing support from the international community, and from our coalition. Indeed, we would welcome additional contributions for this proven stabilization formula, through either the Funding Facility For Immediate Stabilization or the Funding Facility for Enhanced Stabilization. These funding mechanisms have proven to be lean, transparent, and focused on returning life to communities after Da’esh. Projects such as de-mining in Ramadi, restoring water treatment in Tikrit, and rebuilding Anbar University, contribute to the same goal of restoring communities, returning families to their homes, and ensuring that Da’esh can never return. We must now draw on these lessons for Mosul. The military objective is to keep people in their homes, but we are preparing for larger outflows as the fighting reaches urban areas. Our objective in supporting the Iraqis and the UN team on the ground is to care for the needs of the displaced immediately, and then return residents to their homes as soon as possible. Our coalition is helping to get resources in place to support the humanitarian effort, led by Lise Grande, Deputy Special Representative of the UN Assistance Mission for Iraq, and pre-positioning key equipment, such as generators and water treatment facilities, to support the people of Mosul. ‎These efforts come amidst great uncertainty as the battle lines advance. We must prepare for worst case scenarios, and adapt to what will inevitably be a dynamic situation. Our coalition team will be providing periodic updates on these many aspects of the Mosul campaign. For now, we can report progress on initial objectives but with much to do and prepare over the weeks ahead. Our thoughts and prayers are with those on the front lines as they begin to take the fight into the very headquarters of Da’esh. There have been casualties already, among the Iraqi forces, the Peshmerga, and one American service member. We pray for their families and loved ones, and move forward together, determined to accomplish this vital mission that they began. In other areas of what is left of Da’esh’s phony “caliphate,” we are dismantling its leadership and uprooting its financial and logistical networks. Its primary leader, ‎Abu Bakr al Baghdadi, has not spoken publicly nor had the courage to show his face in nearly a year. His disappearance may account for the fact that we are rapidly removing many of his key lieutenants from the battlefield, including his deputy, Abu Mohammed al-Adnani, killed just last month in an air strike near al Bab, Syria. That airstrike took place as Adnani was fleeing from Raqqa to rally demoralized troops near Bab. He was likely compelled to move because our coalition, supporting the Syrian Democratic Forces, had just broken the back of Da’esh in what is known as the “Manbij Pocket.” This is a part of Syria where Da’esh terrorists planned attacks against our homelands, and then traveled through the area, often through Manbij itself, to carry out operations. In July, Da’esh lost Manbij after a hard fight over 90 days. The SDF suffered around 300 fatalities, and hundreds more wounded. Da’esh had at least double that amount, including some of its most experienced fighters and entire units from Chechnya and Eastern Europe. Since the liberation of Manbij, we have collected over 15 terabytes of information about Da’esh’s organization, networks, foreign fighters, and their contacts at home. We are now working to grow our global database of Da’esh fighters and their associates to share with members of the coalition, and incorporate into multi-national networks such as INTERPOL and EUROPOL. This level of information sharing, which I call “radical” because it’s never been done before, is vital to stopping the flow of foreign terrorist fighters and preventing attacks. Our coalition must continue to build and strengthen these mechanisms: combining military, intelligence, and law enforcement efforts to stay steps ahead of this determined enemy. We are also grateful for the entry of Turkey into the ground campaign in Syria, clearing a buffer along its border from Jarabulus to Azaz. Thanks to this operation, for the first time, Da’esh retains no borders to the outside world; it is now a self-contained entity. The nearby town of Dabiq, where Da’esh promised its adherents a “final victory,” turned into an embarrassing rout, as its fighters fled against advancing Syrian opposition units. We are now working to consolidate these gains, to make the area safe for displaced Syrians, and to ensure that all armed groups in the area act in common purpose against Da’esh, as we turn focus to Raqqa, which remains the central locus for plotting attacks outside of Syria. Finally, as we retake what is left of Da’esh-held territory, degrade its foreign fighter networks, counter ‎its messaging online, and destroy its financial infrastructure, we are ensuring that its so-called “affiliates” cannot take root outside Iraq and Syria. In Libya, we are supporting the Government of National Accord as loyal fighters clear what had been a Da’esh stronghold in Sirte. In Nigeria, we are working to degrade the Da’esh affiliate that sprung from Boko Haram. In Egypt, we are supporting our Egyptian partners to further degrade a terrorist affiliate in Sinai. Throughout, we are targeting Da’esh leaders, from Afghanistan to Yemen, and breaking up plots from Canada, to Germany, to Bangladesh. The more we work together, and share information, the more success we will have, and build on our momentum to date. In sum, this is a truly global campaign against an enemy that once seemed insurmountable but ‎is now significantly degraded and on its heels. Our global coalition is proving to be an essential and enduring structure for enabling partners on the ground and eliminating threats before they materialize. The war will not end after Mosul, or even Raqqa. It may last years, albeit evolving from a military focus on retaking territory, to a law enforcement and intelligence focus on strengthening global networks to identify and stop Da’esh fighters or deranged individuals rallying to its flag. What is certain is that defeating a global network requires a global network, and that is why I am privileged to work with all of you in this most vital endeavor. It is only through our work together that we can stay ahead of this threat, and deal Da’esh a defeat that is lasting and permanent.